Crawfish is not just a New Orleans tradition, it’s also a Riverview tradition. 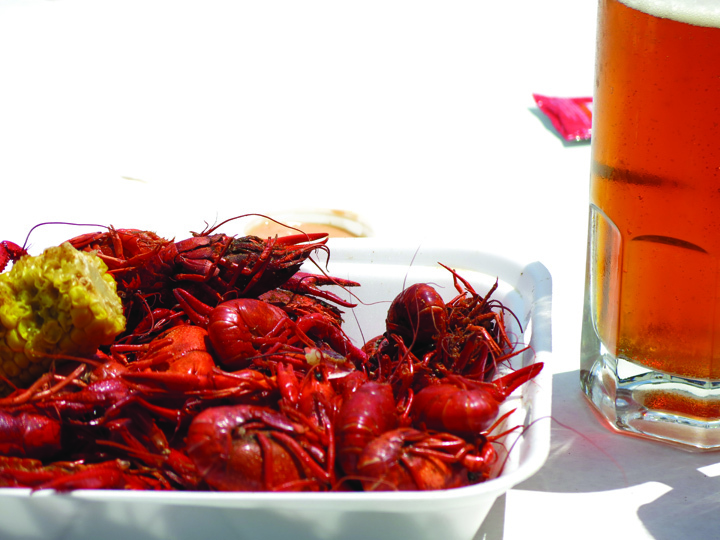 The FishHawk Riverview Rotary Club will be hosting its Fourth Annual Crawfish Festival on Saturday, May 31 at the Winthrop Town Centre. This event is a local favorite that brings out the Cajun spirit in everyone who attends. “Last year we ordered 2,500 lbs. of crawfish and we sold out,” said Rotary President, Christine Ans. The Crawfish Festival began with one of the rotary’s members, Michael Broussard, who owned a Cajun restaurant in New Orleans. He suggested a Cajun themed fundraiser to the board of directors of the rotary club who loved the idea. The festival will run from 12 Noon- 4 p.m. and tickets are $15 for a 2 lb. crawfish dinner. “We also have ettoufee and gumbo available along with hotdogs and hamburgers,” Ans said. The hotdogs are free for children with a non-perishable food donation. There will also be live Cajun music, a children’s area and vendors. The rotary is still looking for vendors and sponsors for the event. “The Riverview Chamber of Commerce will kick of the ‘Honorary Mayor’s Race’ by those wishing to throw their hats into the ring on that day,” Ans said. The rotary has also added a water area to highlight their club’s main project, a water sanitation project in Peru. All of the money raised at the festival will go to local charities such as the Brandon Outreach Clinic and Honor Flight as well as funding scholarships for students at Newsome, Riverview and Spoto High Schools. To learn more about the festival or to become a sponsor or vendor, visit www.fishhawkriverviewrotary.org. Tickets can be purchased until Thursday, May 22 through the Website. Winthrop Town Centre is located at 11109 Winthrop Market St. in Riverview.